After two medal-race performances and one near miss at the ISAF Championships in Perth, five sailors from clubs in Belfast, Cork and Dublin booked their places at London 2012. Ryan Seaton and Matt McGovern made it in the 49er skiff class, Peter O’Leary and David Burrows in the Star keelboat, and Annalise Murphy in the Laser Radial. Ireland’s only sailing medal came at the 1980 Moscow Olympics when 62 countries decided to boycott the Games. Since then, Ireland hasn't had a top-eight finish. David O'Brien, in an excellent Irish Times article, points out that consistency must be the key if the Irish crews are to make the podium in Weymouth. Two bad races apiece for the Star crew and Annalise Murphy cost them medals in Perth. 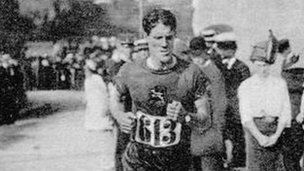 "...it’s not only about having brilliant races, it’s also about avoiding bad ones, and in terms of difficulty, it’s the hardest nut to crack," writes O'Brien. 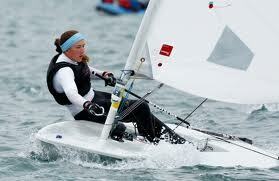 In her last two World Cup regattas, Murphy has finished 15 times in the top 10 and has won 10 races. Her win rate at the Skandia Sail for Gold regatta on the Olympic course in Weymouth was matched only by Britain’s Ben Ainslie. Inconsistency prevented her from taking first place in both events. In Perth, Murphy won four races, more than any other sailor in her fleet; her average position, excluding discard, was seventh. If she had scored seventh in her two worst races, she would have won the regatta by five points. Instead a couple of bad results kept her sixth overall in a 102-boat fleet - still a personal best. For the relatively new Star crew, there has been bronze at the European Championships, fourth at the Olympic test event and silver at the Bacardi Cup. On the downside, a 33rd and a 24th in Perth kept them out of the medal race. In the 41-boat Perth fleet, consistency paid off - only one of the top three overall won an individual race but the top three rarely dropped out of the top 10. With only six regattas left until the Olympics, the Irish crews resume their campaigns in January, with the Star and the Laser Radial based in Miami and the 49er in Europe. The big challenge for them all is making the transition from Olympic qualifiers to medal prospects.